This funny birding spoof design is inspired by the Hitchcock classic. But this time, it's Dial B for Birder. 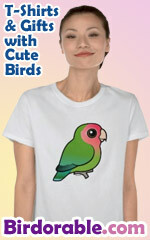 This funny birdwatcher design is a great gift idea for any birder.